You have a vision of your dream home, why compromise when it comes to the details that will bring it to life? It can be overwhelming to sort through the many options available, but the team at ACo is here to guide you on all we have to offer, such as the Kohler Components collection. 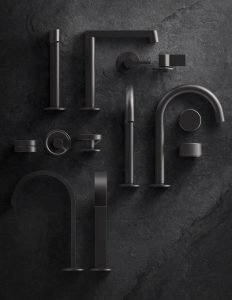 This innovative collection from Kohler features a wide array of interchangeable faucet elements and puts the freedom of design into your hands so you can create your signature look. As Kohler promises, “Components is a versatile collection that was designed to be designed, by you.” To empower you to achieve precisely the look you want, the line is clean, minimalist, and contemporary; at the same time, it exudes luxury and refinement. The interchangeable components are thoughtfully designed so that no matter what your choice, you make an elegant statement that suits your home and style perfectly. How do you bring your look to life? With Kohler, it could not be simpler. There are currently three spouts: the crisp, clean, angled Row, the fluid Ribbon, and the timeless cylindrical Tube. For your sink, you can select from the Rocker, Oyl, Lever, or Industrial handles. For your bath, Oyl, Industrial, and Lever are available. 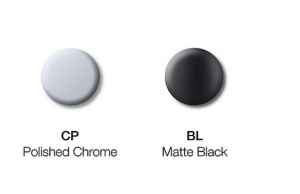 Opt for Polished Chrome or Matte Black. Titanium and Brushed Nickel finishes are on the horizon as well. 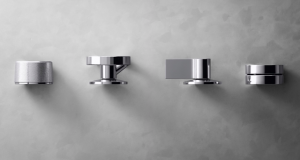 You can also choose additional accessories to complement and enhance your Components faucet, such as a full shower line, towel bars, cabinet knobs, and robe hooks. Pull your look together seamlessly! 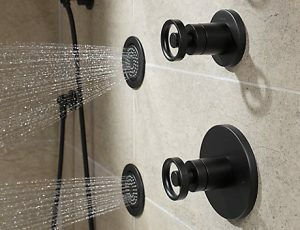 The Kohler Components collection is not only attention-grabbing gorgeous, every piece is meticulously engineered for maximum durability and performance. They offer accurate flow control, water temperature control, and a natural laminar flow for an organic feel to the stream of water and less splash. Every detail is designed to ensure optimal operation, convenience, and comfort. You should love where you live; when you have the power to make key design choices, you will enjoy the beauty you’ve created for years to come. 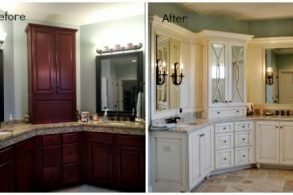 Contact the ACo team for a free design consultation, they will guide you through selecting bathroom or kitchen components, creating a design that focuses on style, comfort, and performance.